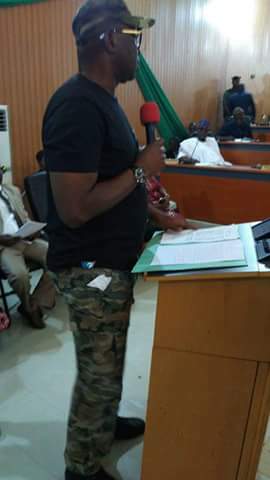 Aide to Ekiti State Governor Ayodele Fayose, Mr Lere Olayinka blast critics over what Governor Ayodele Fayose wore to present Ekiti budget to the state house of assembly. Mr olayinka wrote on his Facebook page, that if what concern those criticizing fayose is what he wears rather than how he performs his duties in office. He wrote, If your concern is what a man wears. to the office and not how well he performs his duties in the office, I doubt if your head is correct! president and Nigeria is now in depression. YABA LEFT and ARO in Abeokuta.